Get Lord of Dwarves Updates! What is Lord of Dwarves? 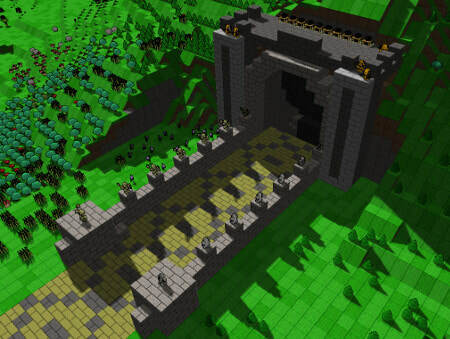 Lord of Dwarves places you in control of a band of dwarves in a fully constructable/destructible 3D voxel world. 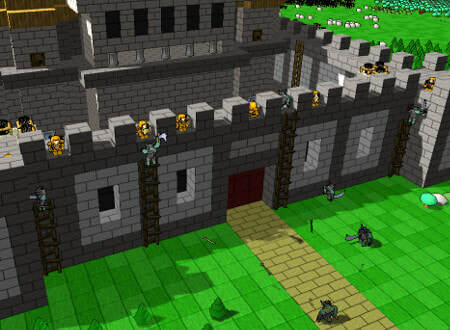 Gather resources, craft items, build a giant castle, and defend it against hordes of invaders. Lord of Dwarves focuses on presenting an interface that works without having to think about it and allows you to easily reshape the 3D world around you. Decide how your dwarves should spend their limited time, should they concentrate on gathering food for the winter? Or is it more important to mine the earth for valuable trade resources? 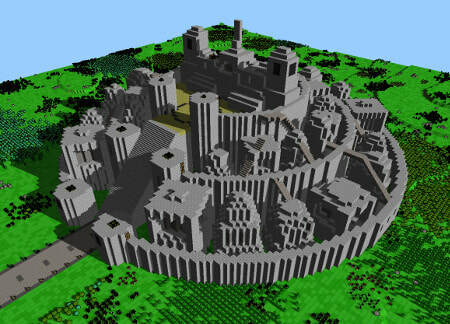 Do you want to build houses for each of your dwarves to live in, or fortify your castle against invasion? Perhaps it is time to pound the drums of war and concentrate on forging arms and armor to prepare for the coming orc invasion. Choose the scenario that suits the play style you want! Gathering resources provides your dwarves with a diverse list of raw materials to work with. Order your lumberjacks to fell trees and collect wood. Tell your farmers to gather fruit and seeds. Command your miners to dig deeper and deeper into the earth for ever more precious metals and gems. Raw materials provide the basic building blocks for creating a great dwarven civilization. Crafting is a huge part of Lord of Dwarves. Gathered resources can be made into all manner of useful items. Fell trees to collect wood, then use the wood to craft tables, chairs, weapon racks, bins, fences, ladders, and much more! Don't forget to craft some barrels to hold all that dwarven ale you're going to brew! 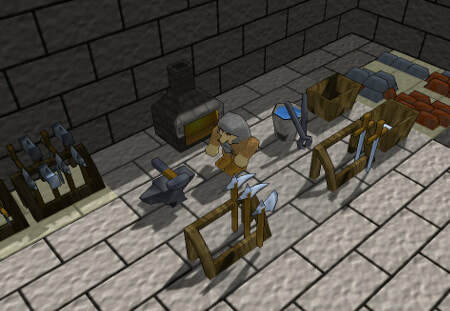 Other resources like stone, metal ore, coal, and plants can be used to craft the hundreds of items in the Lord of Dwarves game. Work the stone to build a castle. Smelt the ore to forge a lethal axe or a more accruate hammer. Craft plate armor for the best protection or chain armor for improved mobility. Lord of Dwarves not only provides a multitude of items to craft but presents interesting trade-offs between the crafted items. 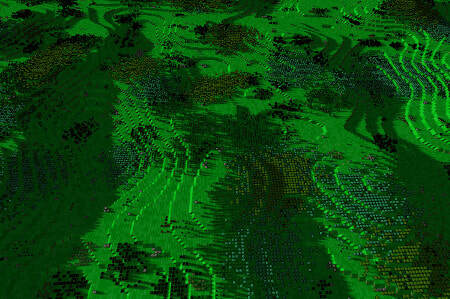 The terrain in Lord of Dwarves is made up of a 3D grid of terrain cubes - all of which are completely modifiable. Level a hill to build your castle, or construct the castle into the side of the hill itself. Lord of Dwarves lets you construct and destruct everything you can see. Dig a staircase to the depths of the earth in search of rare materials. Build a house out of wood and stone. 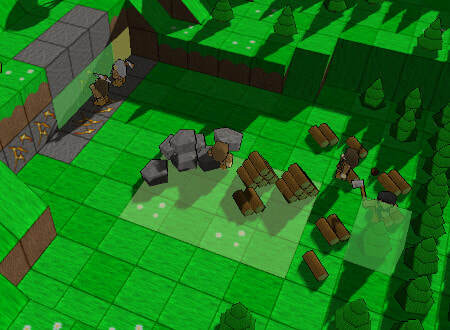 Construct fortifications to protect your dwarves from invading monsters. All of these tasks are common and easy to perform. Lord of Dwarves focuses providing an easy to use interface that allows you to intuitively create anything you can imagine. Lord of Dwarves features a variety of enemy monsters each with their own tactics and goals when attacking your dwarf community. The less subtle monsters will attack your dwarves wherever they find them. Other more clever creatures will bring ladders to scale your walls and tools to dig underneath. Learn the strategies of your enemies and discover how to build a fortification that truly protects against their assaults. Lord of Dwarves features a full campaign which will start by teaching you the basics and increase in difficulty as the levels progress. The game really shines in it's unique level design. In one level you will need to build a stone tower at least 30 blocks high which uses no less than 500 stone blocks. Get those stone masons carving! Another level will have you constructing a fort which effectively denies thieving goblins your most precious treasures. The campaign adds easy way to approach the game that ramps up into a fresh and challenging experience. When you've completed the campaign you can use the extensive custom settings to create the game of your choosing. Control resource levels, world size, monster frequency, and much more. You can even create a sandbox world what allows you to focus on your constructions without worry of constant attack. Lord of Dwarves customization allows for limitless replayability.